If you have a disabled child, government and state assistance programs can help ease your family's financial burden. Eligibility for the programs is based on the family's household income and countable resources. Your home, vehicle and personal effects are excluded from this equation and won't count toward your asset limit. The two main programs offer cash benefits, but your household may qualify for additional programs that can help with basic needs. If you have a low household income and limited resources, your disabled child may qualify for Supplemental Security Income. SSI is a needs-based financial assistance program open to disabled individuals of any age. The Social Security Administration offers a "Child Disability Starter Kit" for you to review before applying for benefits. The kit explains the rules and can help you determine if your child is eligible. Once you've reviewed the materials, you'll need to contact Social Security to find out if your child meets the household income and asset requirements. If the guidelines are met, fill out the online Child Disability Report. As of the time of publication, the maximum monthly benefit amount is $733. Every state administers the Temporary Assistance for Needy Families, or TANF, program, which provides cash benefits to very low income households with dependent children. Although the program isn't exclusively for families with disabled children, having a disabled child can make it easier to qualify. Generally, the parents are required to work a minimum number of hours each week to receive a monthly benefit. But if you're caring for a disabled child, you may qualify for an exemption from the work requirement. The amount you can receive each month varies based on household income, number of family members and the state you live in. At the time of publication, monthly benefit amounts for a family of three range from a high of $923 in Alaska to a low of $170 in Mississippi. Contact your local office of the state agency that manages the TANF program where you live. Since TANF eligibility is based on income rather than disability, households may want to apply for TANF while waiting for SSI benefits. If your child is receiving SSI, the household income may be too high to qualify for TANF. If your child is approved for TANF or SSI, your household may automatically be eligible to receive food benefits through the Supplemental Nutrition Assistance Program, or SNAP. Through the program, you can receive monthly benefits to purchase groceries for the household. 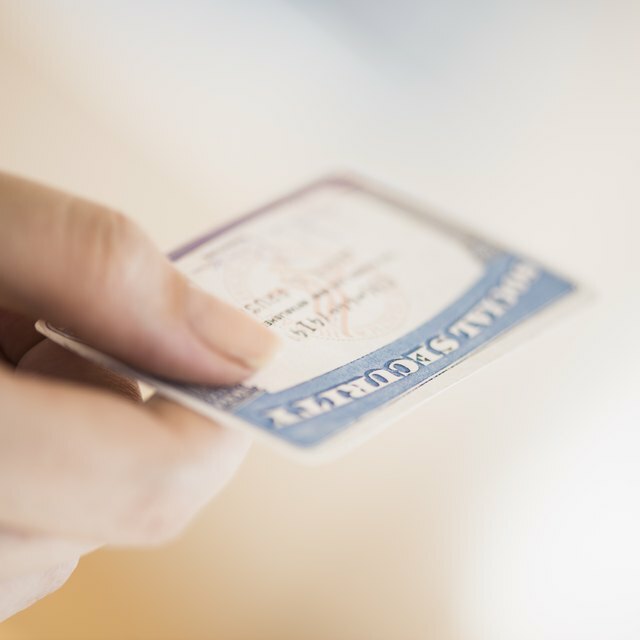 You can use the benefits wherever SNAP is accepted with your state-issued Electronic Benefit Transfer card. The benefits cover anything defined as a food under the Food and Nutrition Act of 2008. You can't buy hot foods, alcohol, tobacco or pet food with SNAP vouchers. The same application is often used to determine both TANF and SNAP eligibility, but you can apply for each program separately. Can You Get WIC and Food Stamps at the Same Time? The Low Income Home Energy Assistance Program is a utility assistance program that provides temporary relief with an energy bill and weatherization services to permanently lower your energy costs. SSI and TANF recipients automatically qualify for this, but other households will need to have a gross income at or below 150 percent of the federal poverty level. Since each state runs a separate energy assistance program, the benefits vary. Certain states award funding in the winter only, while others offer year-round assistance. Many states give priority to households with disabled family members when funding is limited. Contact your local Low Income Home Energy Assistance Program office for information about your state's program.